Disney Cruise Line sails to the Bahamas on a variety of sun-soaked itineraries. 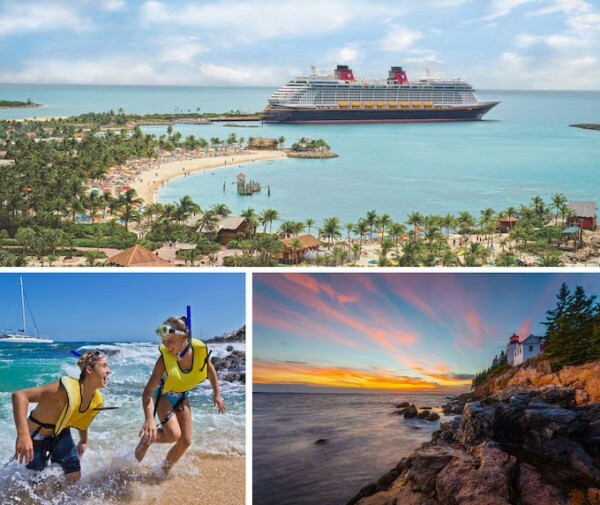 All cruises include a stop at Disney’s private island paradise, Castaway Cay. And now, on special sailings from New York, Guests can take advantage of a convenient stop in Florida to visit Walt Disney World®! Relish a weekend getaway from San Diego to Ensenada—known for its stellar surfing conditions, innovative cuisine and legendary hot springs. Or, extend your vacation to visit lovely Cabo San Lucas. Take a week-long Mexican Riviera cruise to explore Mazatlán, Puerto Vallarta and beyond! This entry was posted on May 24, 2016 at 11:57 am and is filed under Disney Cruise, Disney News, Disney Vacation Planning, Travel. You can follow any responses to this entry through the RSS 2.0 feed. You can leave a response or trackback from your own site.